This ride through New Zealand is proving to be just as tough as feared! Today was a real struggle – read the update from the man himself below. I travelled just over 70 kilometres today. The original plan was 250 kilometres! I started the day off with horrendous knee pain which turned into a feeling of nausea. It was caused by a few factors. Yesterday when I was climbing on a country road, a dog jumped through a fence of a farmhouse and charged at me. I went to detach my cleat to kick him away. My cleat didn’t detach but the bike jolted, scaring the dog off (although it may have been my almighty caveman “MENDOZA” yell that actually scared him off). The aggressive leg movement from trying to swing my leg out caused irritation in the ligament. It made matters worse that I spent the end of yesterday in a random pub looking for an iPhone charger, chatting with locals, getting a lift in a car for 15 minutes and ultimately not stretching until it was too late. After 45 kilometres of riding today I saw an acupuncture/physio centre on a main road exiting Auckland. I pulled in, they saw me straight away, and proceeded to do their best to loosen some tight muscles. 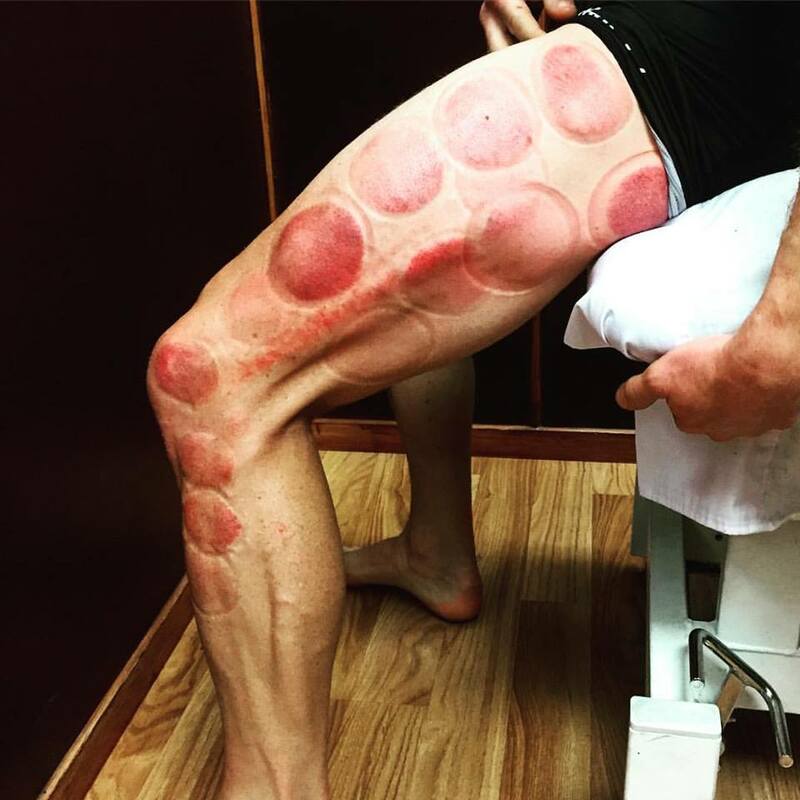 I told them I had to keep going so they put their suction cups into heavy duty mode (including some leg scraping device, hence the rawness running up the ITB as seen below). I managed to ride an extra 30 km after this treatment but the aggravation was too intense. As a consequence we’re currently perched at Pukekohe (south of Auckland) resting up. Hopefully I’ll be good by the morning. I could ride a little further after receiving the mother of all treatments on my left leg. My average speed was 7 kilometres less today and I had a tail wind! I was riding with my right leg only and dealing with pain in the left knee, even just on rotations. I am aiming for a 250km+ ride in heavy rain tomorrow to get to Taupo. 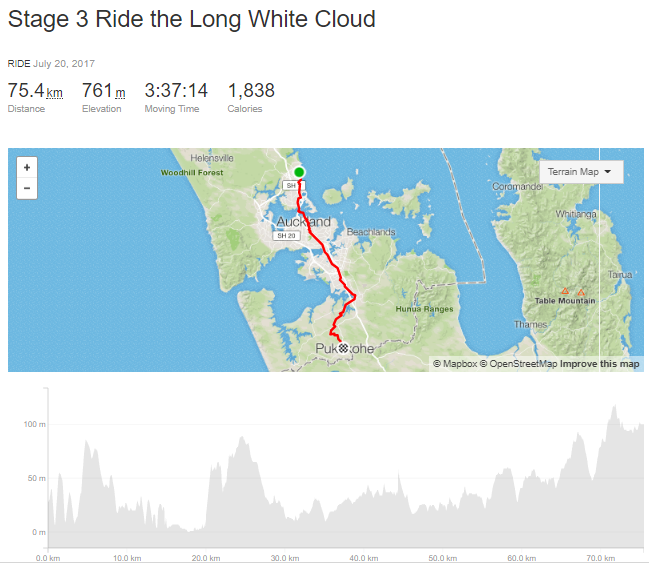 My journey in New Zealand over the 12 days of Ride the Long White Cloud is somewhat of a pilgrimage for me, connecting with my partial motherland. Yesterday and today I rode through Auckland with two black arm bands to honour the memory of my Auntie Valerie McChesney who died in Auckland of cancer at the young age of 51, in 1985, and my Uncle Bernard McChesney who sadly died a year later aged 51, in 1986. Valerie and Bernard were both school teachers and were well thought of by their students and colleagues. They were loving parents and often took my cousins on fun family camping holidays around New Zealand, including working holidays in the early days, where Bernard would run wool classes and Valerie would cook for the shearing gangs. Valerie was a nurse at Lower Hutt Hospital before teaching and was a bit of feminist in her day. Bernard went to Nelson Boys College where he was a “gun” rugby player. Then at Auckland University he majored in Japanese and won a Government scholarship to visit Japan, where he gained a lifelong passion for Japanese people, culture and language. 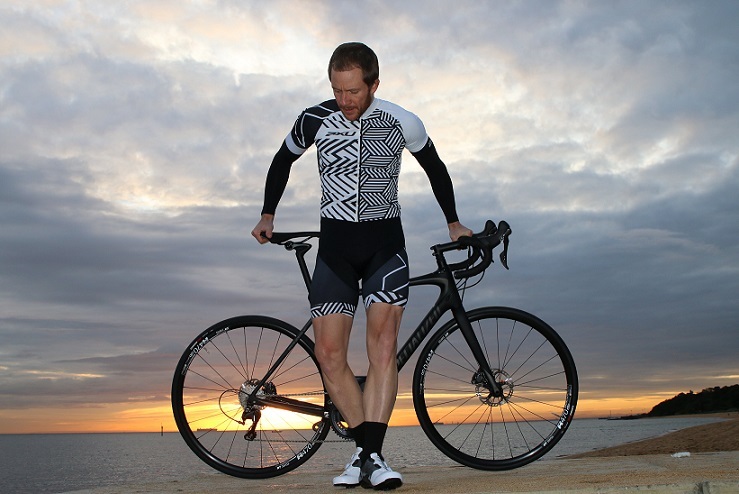 As part of Ride the Long White Cloud we are supporting young kids with cancer by raising funds and awareness for CanTeen Australia and CanTeen New Zealand. Please support this great organisation and learn more about the ride through New Zealand via the blue button below.